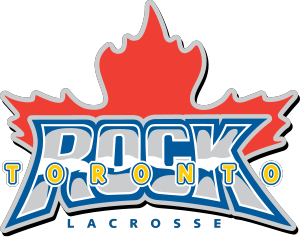 The Toronto Rock is a lacrosse team in the 9-team National Lacrosse League (NLL). They play in the Eastern Conference along with the Philadelphia Wings, the Rochester Knighthawks and the Buffalo Bandits. The Rock play their home games at the Air Canada Centre, which they currently share with both the Toronto Maple Leafs of the NHL and the Toronto Raptors of the NBA. The team was formed in 1998 as the Ontario Raiders, and played their home games at Copps Coliseum. The following year the team moved to Toronto, were renamed the "Toronto Rock", and began play at Maple Leaf Gardens. 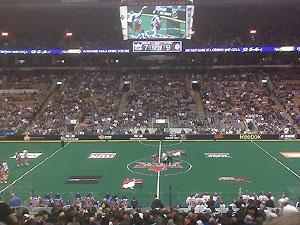 The team moved to the Air Canada Centre (shown right) after it opened in 2001. In June 2009, the Rock was sold to current owner, Oakville-based businessman James Dawick. Current head coach Troy Cordingley was hired the following month. 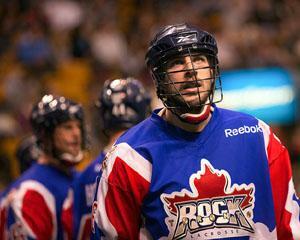 The Toronto Rock have won six NLL championships, last winning in 2011.